Over the past years I have met many exceptionally great photographers who taught me a lot, inspired me with their works and teachings and I thought I should share some of the stories I had with them and why they are important for me. This is not about why Ansel Adams is a great inspiration to literally every landscape photographer. I think it is important to know the super heroes but I also think meeting and getting to know the everyday heroes of your trade is just as if not more important for the artistic development. My most recent workshop experience was the Visionary Death Valley workshop held by Guy Tal and Michael E Gordon. I knew about Guys work for quite some time and was very happy when I managed to book a place in one of his workshop. He did the majority of classroom teaching and I have to say that to this day I have never seen a person being able to speak with such competence about literally every aspect of photography. From the technology down to the last pixel in the camera to what really happens in a computer when editing, from understanding color and the neuroscience behind it to what that all means when photographing with artistic intent. Presented with competence and authority but also with wit and humor. Imagine a five hour classroom session you will happily sit through without a break. Find out more about Guy Tal here. I met Nathan Wirth only briefly in 2013, Google Plus was up and coming in social media at the time and photowalks organized through the network were really popular. There was a whole bunch of events held on a weekend in January in San Francisco and Nathan lead one of the groups to Baker Beach. The weather was typical San Francisco winter, cold, foggy, wet, unpleasant. About 20 people showed up at the meeting point and straight away the majority of them said, I'm not doing this, there is nothing to see or photograph here. Nathan wanted to go down to the beach anyway, he said this weather is perfect and even though I didn't understand what he meant with this I just had to know what it is he sees. 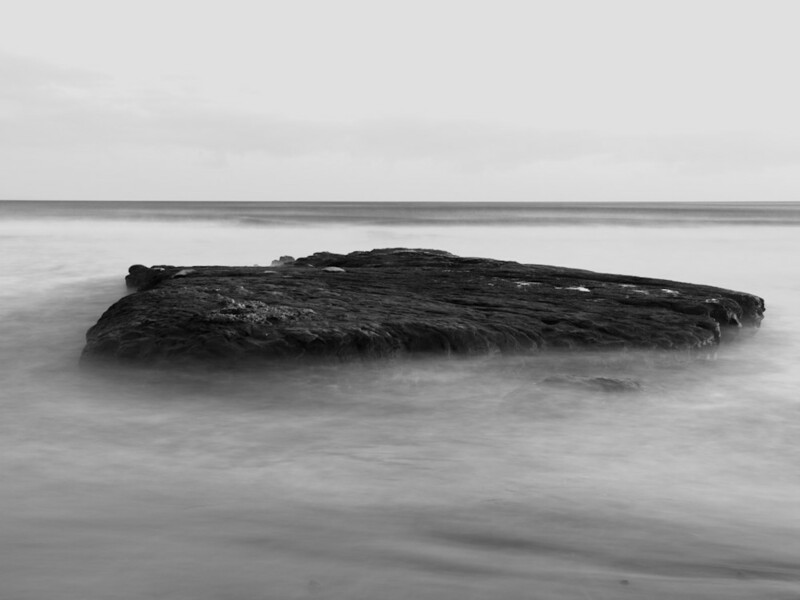 And this is how I got my first revelation on how long exposure black&white photography really works. This short meeting laid down a path for me, at the time I had no idea what to do with this information but a few years later I realized how influential it really was. Find out more about Nathan Wirth here. Another important experience for my development was the minimalist winter landscape workshop in Calgary, Canada. One of the teachers I knew from my online activities, Olivier du Tre curated a weekly photo theme on G+, minimalistmonday. I felt a strong connection to the type of work shown under that label and really wanted to learn more so when I found out about his workshop I didn't hesitate for long before I booked it. When Olivier introduced himself to the group he described his teaching style as confrontational – it may sound odd and evoke ideas of constant verbal abuse but in reality it is anything but that. As a teacher he is absolutely present in the field and helps in pushing the boundaries for his students. He would constantly check in with everyone, ask for pictures we took, why we took them, what it was was that attracted our attention, what else we see in the scene. These conversations were very quick and didn't allow for long thoughts but instead tapped directly into the emotional aspect of photography. Being able to express these emotions, understand where they came from and how to convert them into a picture was probably the most valuable lesson I took home from the workshop. Those four days were worth a whole year of reading or watching tutorials, for me it was a major turning point for my work. Find out more about Olivier du Tre here. I took the picture below during the 2013 photowalk, I consider this my first successful example of a minimalist black&white image.